For all your perfect binding needs, ADSS offers a large selection of perfect binding machines to help you create professionally bound books, manuals, brochures, and other bound soft cover documents. 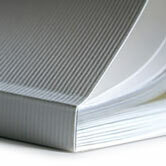 Perfect Binding is a widely used binding method that uses glue along one edge of a stack of pages. The edge of the stack is usually prepared by making shallow cuts or by grinding to increase the adhesion. Perfect bound books usually are glued into a wraparound cover. This type of binding is widely popular and might also be referred to adhesive binding, glue binding, soft binding, and soft cover. ADSS carries a quality selection of perfect binding machines, which are all available through our on-line store. Please review the helpful comparison chart detailing the features of all the perfect binding machines we carry. Then browse our catalog of binding supplies, including document covers, thermal bind covers, paper joggers, and many other binding and laminating supplies. We guarantee you won't be disappointed. The PB2000T tabletop perfect binder produces professional perfect bound books with the touch of a button. 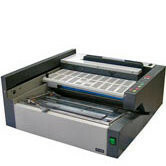 The PB2000 provides superior capacity with the ability to bind books up to 1.44" thick and up to 12.75" long. It has a production speed of up to 140 books an hour and allows you to create your own soft cover books in as little as 25 second each. The BQ-P60 Perfect Binding System can be used for two different types of binding: wrap-around perfect binding and note-pad binding. Create professionally bound books quickly and easily. Produces up to 150 perfect bound books per hour. 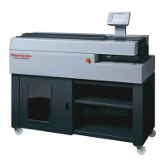 This user friendly machine is ideal for short-run and on-demand printing applications. 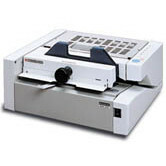 The BQ-160 performs perfect binding (with or without notching) and report binding. The Standard Horizon BQ-160 PUR Single-clamp Perfect Binder satisfies the fast-growing demand for short-run digital photo books and prepared book blocks for case binding. The PUR adhesive system uses lower temperatures than conventional adhesives, giving a strong bind without the high temperatures that may damage sensitive materials. 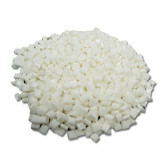 The PUR adhesive also produces a much lower level of fumes. Create professionally bound books inexpensively. Produce up to 360 perfect bound books per hour. 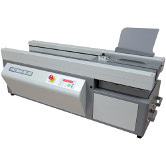 This user friendly machine is ideal for short-run and on-demand printing applications. In addition to perfect binding, you can also do tape binding and padding.